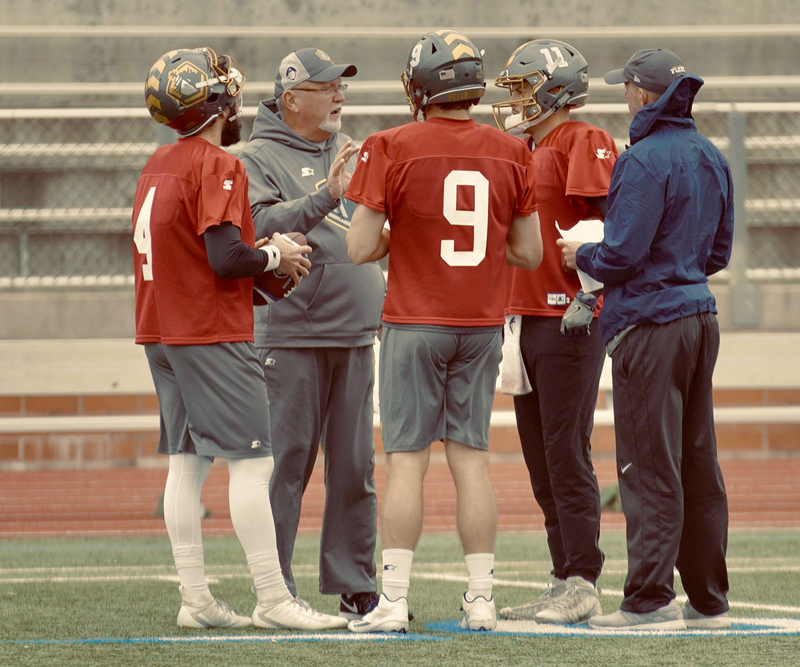 (SAN ANTONIO, TX) — The Alliance of American Football’s San Diego Fleet has hired 37-year coaching veteran Mike DeBord as offensive coordinator, as announced on Thursday. He will fill the void left by Jon Kitna, who was added to the Dallas Cowboys coaching staff earlier in the week. The 62-year-old DeBord was lured out of his recent December retirement after serving as the associate head coach, offensive coordinator and tight ends coach under Tom Allen at Indiana University for the past two seasons (2017-18). He previously worked with current Fleet Head Coach Mike Martz for two seasons with the Chicago Bears (2010-11). DeBord may best be known for his time at University of Michigan. The Muncie, Ind., native was the offensive coordinator for the 1997 National Champion Wolverines — who compiled a perfect 12-0 record, won the Big Ten Conference championship and defeated Washington State in the 1998 Rose Bowl. Following the season, DeBord was named Sporting News National Assistant Coach of the Year. His tenure at Michigan started as offensive line coach from 1993-96 being promoted to offensive coordinator from 1997-99. He later returned as special teams and recruiting coordinator from 2004-05 and returned to offensive coordinator and tight ends coach from 2006-07. During his first stint as offensive coordinator in Ann Arbor, DeBord mentored future NFL quarterbacks Tom Brady, Brian Griese, Chad Henne and Drew Henson. In all, the Wolverines posted a combined 52-11 record in the regular season and a 4-1 mark in the postseason with DeBord manning the post. DeBord’s only head coaching experience came during a four-year run at Central Michigan University (2000-03). He launched his career in 1982 as offensive line coach at Franklin College (IN) and has also made collegiate stops at Fort Hays State University (KS), Eastern Illinois University, Ball State University (IN), Colorado State University, Northwestern University (IL) and University of Tennessee. In all, he coached 53 players who advanced to play in the NFL. DeBord added five years of NFL experience to his extensive resume starting as assistant offensive line coach for the Seattle Seahawks in 2008. He was later promoted to tight ends coach in 2009 before spending three seasons as tight ends coach for the Bears (2010-12). A former honorable mention All-American offensive lineman at Manchester College (IN), DeBord was a 2005 inductee into the Indiana Football Hall of Fame.